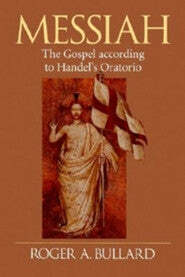 A commentary on the texts of the oratorio. A Supplemental resource recommended for the leader of Kerygma's study, Hallelujah! The Bible and Handel's Messiah written by Carol M Bechtel. Find more Supplemental Resources or additional www.kerygma.com products. © 2019 The Kerygma Program. All Rights Reserved. All prices USD.